true, i promised you more photos, and true i failed you yesterday. but in my defense, i was busy planning flower school* over lunch with Nicolette, then busy gorging on more butterscotch pecan cookies before an fairly intense yoga class in which my "crow" failed to fly. but this morning I'm on it, and it's all coming at you in the next hour. except the kombucha video which eric and I deem as wholly too boring, and frankly kind of gross. 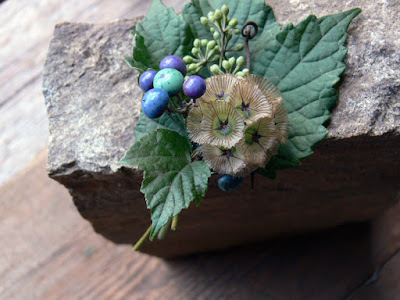 *for more photos from this little porceline vine project click here. My favorite arrangement yet this fall. Hello! What are those blue/green/purply/ berries? Are they real or fake because they sure are gorgeous! Thanks so much!Ive never seen them at the flower market in los angeles...perhaps they have been there but i am just too tired to notice.